Newington, CT and Hicksville, NY – January 31, 2018 – Beta testing for bringing CQ magazine's Worked All Zones (WAZ) award program into ARRL’s Logbook of the World (LoTW) system has been underway since mid-December and is continuing to move forward, according to officials from CQ Magazine and ARRL, the national association for Amateur Radio. Some problems in the implementation were discovered by testers and have since been corrected; the documentation has also been improved by feedback from the testers. In parallel, the LoTW server has been executing a background task that creates and populates a WAZ account for each LoTW user. Beta testing will continue until this background task completes. When all WAZ accounts have populated, LoTW-WAZ will be made available to everyone. The goal is for amateur radio operators to be able to directly submit LoTW confirmations for WAZ credit. Standard LoTW credit fees and separate CQ award fees will apply. 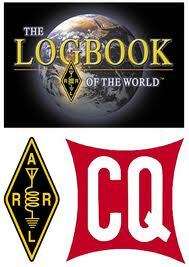 Logbook of the World is ARRL's electronic confirmation system for amateur radio contacts. It provides a confirmation when both stations in a contact submit their logs to the system and a match between the logs is confirmed. LoTW has supported the CQ WPX Award program since 2012. ARRL (www.arrl.org), a noncommercial organization of radio amateurs, has a proud history of achievement as the standard-bearer in amateur affairs. ARRL’s underpinnings as Amateur Radio’s witness, partner and forum are defined by five pillars: Public Service, Advocacy, Education, Technology, and Membership. Faced with an avalanche of criticism from members, donors and major clubs across the country, the ARRL board of directors in January decided not to consider several proposed changes to the League's Articles of Association and By-Laws. It did, however, establish a process for presenting proposed changes to the membership ahead of time in the future. The directors also decided to undertake a complete review of the controversial code of conduct they had previously adopted for themselves, and immediately suspended the section of that code that prevented directors from speaking negatively about board actions and telling members how they voted on various motions. The board also voted to make public the decisions of its Ethics and Elections Committee regarding candidates' qualifications as well as its reasons for disqualifying candidates from seeking election (unless, in either case, the candidate requested otherwise). More details on the board actions will be in the March issue of CQ. ARRL Chief Executive Officer Tom Gallagher, NY2RF, announced his retirement, effective March 2, after only two years in the League's top staff position. He cited recent changes in federal tax laws that "made it unattractive for him to continue working in Connecticut," according to the ARRL Letter. The board immediately created a CEO search committee and appointed Chief Financial Officer Barry Shelley, N1VXY, as interim CEO and board secretary. ARRL Comptroller Diane Middleton, KC1BQF, was named to replace Shelley as CFO. board of directors finally agreed to tweak a DXCC rule to allow the former Yugoslav province to be recognized for ARRL award and contest credit. An entity may now qualify for the DXCC list if it has its own International Amateur Radio Union (IARU) member society and is included on the U.S. State Department's "Independent States of the World" list, according to the League. The previous wording of the DXCC rules had prevented the ARRL from recognizing Kosovo as a separate DX entity. One note: ARRL acceptance is effective as of the date of the rule change - January 21, 2018 - and is not retroactive. CQ has recognized Kosovo for its award and contest programs since the nation became independent in 2008. 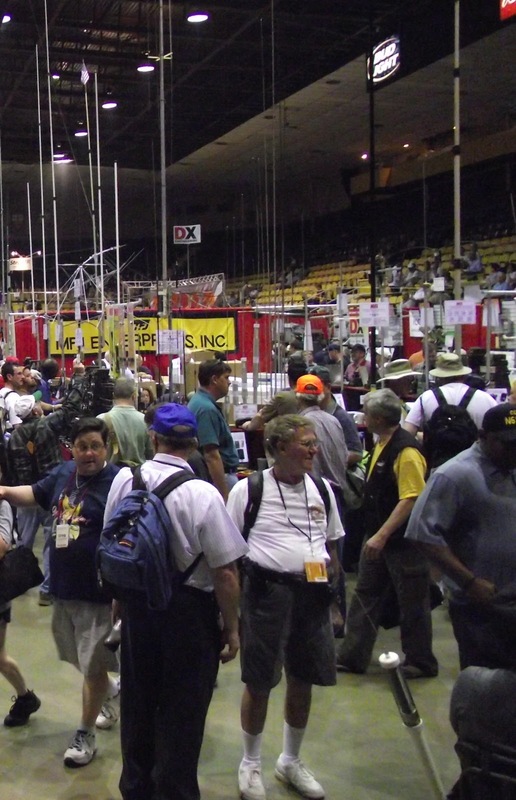 The Dayton Amateur Radio Association (DARA) has announced that the theme for this year's Dayton Hamvention® will be "Amateur Radio … Serving the Community." 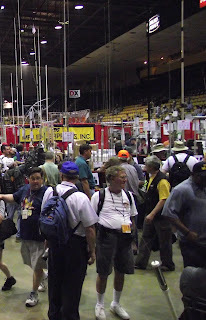 Hamvention General Chairman Ron Cramer, KD8ENJ, said this year's show will have a special focus on emergency communications as well as public service activities, such as providing communications during community events such as parades, runs, etc. What it will not have, according to Cramer, is the new exhibit building that was supposed to be built in time for the show on May 18-20. He reports that the prefabricated sections needed for the building are backordered and construction is not expected to begin until after the 2018 Greene County Fair closes on August 4. However, Cramer notes that some additional indoor booth space will be available in the vacated furniture building. He also says DARA is in the process of resolving last year's mud issues in the flea market; that the flea market may actually have more space than it did last year; additional offsite parking with free shuttles will be available, and the talk-in station will have all new equipment and a taller tower for greater range. hobby. Many of these accomplishments have been recorded in form of new inventions, products brought to market, and articles in amateur radio journals. However, the gold standard for reporting research results in professional science is publication in a peer-reviewed scientific journal. 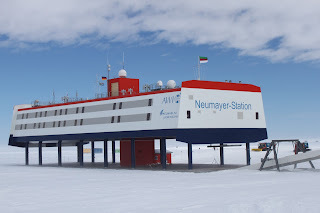 For the fields of ionospheric and space science, these include such publications as Space Weather, Geophysical Research Letters, Journal of Geophysical Research, Radio Science(all accessible via <https://publications.agu.org/journals/>), Nature <https://www.nature.com/>, and Science <http://www.sciencemag.org/>. HamSCI, the Ham Radio Science Citizen Investigation, would like to compile a bibliography of ham radio-related scholarly journal articles for listing on <http://hamsci.org/peerreview>. They may be in any field of science but must have actively involved amateur radio as part of the research. ARRL Hudson Division Director Mike Liscenco, N2YBB, testified before the U.S. Senate's Commerce, Science and Transportation Committee in late January about amateur radio's ability to respond in emergencies. In prepared testimony, he referenced recent activations in Puerto Rico and the U.S. Virgin Islands, and noted that hams in Hawaii were able to begin notifying people that an accidental missile attack alert had been sent in error just 13 minutes after the initial alert went out, while cancellation messages on the cellphone network were delayed by 38 minutes. 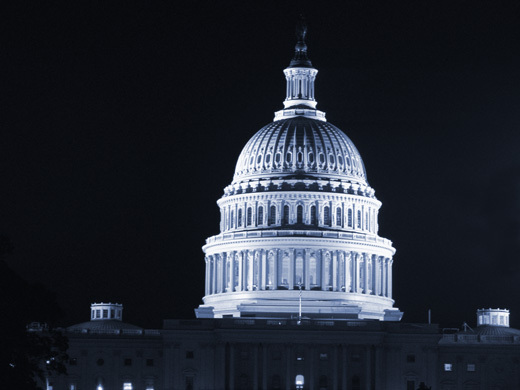 Liscenco also noted that the ability of hams in many places to respond quickly in emergencies was being hampered by private land use regulations, and urged quick action to approve the Amateur Radio Parity Act, which is pending before the committee. He called the bill "balanced" and "completely bipartisan," saying it will allow hams to provide emergency and public service communications while "protecting the aesthetic concerns of homeowners' associations." Liscenco said the bill is unopposed, although several amateurs have expressed concerns that it tilts too heavily in favor of continued restrictions on amateur operations. David Collingham, K3LP (SK) at his home station. David Collingham, K3LP, a 2014 inductee, died trying to rescue his dog, which had fallen through the ice on a pond near his home in Mt. Airy, Maryland. Collingham, who had gone out alone to look for the dog, fell through the ice as well. He was 59. David was leader or co-leader of more than a dozen major DXpeditions and was president of the Intrepid DX Group. See a remembrance of K3LP in March CQ's DX column. Neville Cheadle, G3NUG, passed away unexpectedly at age 77. 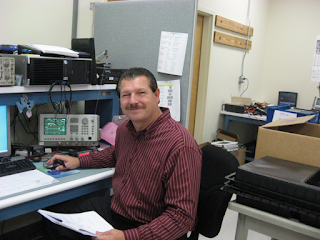 A 2009 inductee into the CQ DX Hall of Fame, Cheadle was longtime president of the Chiltern DX Club (CDXC), founder of the Five Star DX Association, and leader of five major DXpeditions. The ARRL notes that his 2011 T32C DXpedition to Eastern Kiribati still holds the record for the most contacts (over 213,000) made from any DXpedition. The National Conference of Volunteer Examiner Coordinators (NCVEC) has released the new Element 2 question pool from which all U.S. Technician Class license exams will be composed between July 1, 2018 and June 30, 2022. The new pool contains 428 possible questions. A brief errata was also released, rephrasing one question, changing one correct response choice and correcting a couple of typographical and/or style errors. 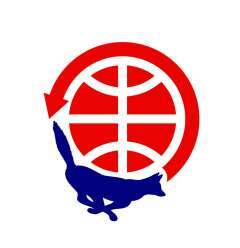 AMSAT's Fox-1D cubesat was successfully launched from India in mid-January. Designated as AMSAT-OSCAR 92 (AO-92), it went into general amateur service on January 26. According to the AMSAT News Service, it includes an FM transponder with an uplink on 435.350 MHz and a downlink on 145.880 MHz; plus an "L-Band Downshifter" which allows the command station to switch the uplink to 1267.350 MHz (both uplinks require a 67.0 Hz CTCSS tone); a camera provided by Virginia Tech and a radiation mapping experiment from the University of Iowa. A Chinese cubesat developed in part by elementary and middle school students was launched on January 19. The "Zhou Enlai" satellite includes an FM transponder (145.930 MHz up; 436.950 MHz down) as well as slow-scan TV capabilities and an SSTV beacon which will transmit date, time, location and temperature information on an SSTV frame, according to the ARRL. Two other cubesats operating on amateur frequencies were orbited on the same launch vehicle. TY2 and TY6 operate in the UHF and higher bands, with capabilities on 2.4, 5.6 and 5.8 GHz as well as 435 MHz. On the downside of space news, the ARRL reports that the APRS (Automatic Packet Reporting System) station on the International Space Station was offline as of late January, "due to an as-yet unidentified anomaly involving the radio serving the system." No word at press time as to when or whether the problem might be resolved. A Final Visit to Hara Arena? There is a video making the rounds on YouTube of a "tour" of the now-abandoned Hara Arena (former home of the Dayton Hamvention®), produced for a program known as "Once Occupied." The host takes the viewer through both familiar and behind-the-scenes settings, including an on-site apartment once used by an arena employee. There's no indication as to whether the filmmakers had permission to enter and wander through the complex. For those interested, the video may be found at <http://bit.ly/2FpWGHw>. The 4096 licensed amateurs in Puerto Rico and 204 hams in the US Virgin Islands (as of 12/31/17, per AH0A.org) will all share the ARRL's 2018 International Humanitarian Award. According to the ARRL Letter, the League's board of directors made the unusual decision based on the fact that the entire amateur populations of the U.S. territories were "pressed into immediate before and during the devastating storms" of the 2017 hurricane season, and noted that local hams "continue to support relief and recovery efforts even now." The board also recognized the work of all amateurs involved in hurricane response efforts last year, in Texas and Florida as well as the Caribbean, for their "outstanding work and service." It might not quite be Harry Potter's invisibility cloak … but then again, it might be. The ARRL Letter reports that the U.S. government has granted a patent for "deflective electromagnetic shielding" to fractal antenna inventor Nathan "Chip" Cohen, W1YW. Cohen is also president of Fractal Antenna Systems, Inc. The patent, according to the Letter, included "electromagnetic cloaking/deflection of, among other things, satellites, rickets, towers, antennas, vehicles, body coverings, ships, spacecraft, and even people." Cohen is quoted as saying on a QRZ forum recently that "Ham radio experimentation can lead to some pretty cool innovations." The cloaking technology is based on the use of fractals, which Cohen introduced to the amateur community in the 1990s in Communications Quarterly, at the time a CQ publication. It sounds like science fiction, but researchers at the National Institute of Standards and Technology (NIST) are combining digitally-modulated magnetic signals with quantum physics to develop a communication technology capable of operating underground, underwater or in urban canyons, where standard radio signals do not propagate well. The ARRL Letter reports that NIST project leader Dave Howe, AD0MR, explained that the system under development would use very low frequencies and a magnetic-field sensor that relies on "the quantum properties of rubidium atoms." The technology uses variations in a signal's magnetic field as a means of modulation. 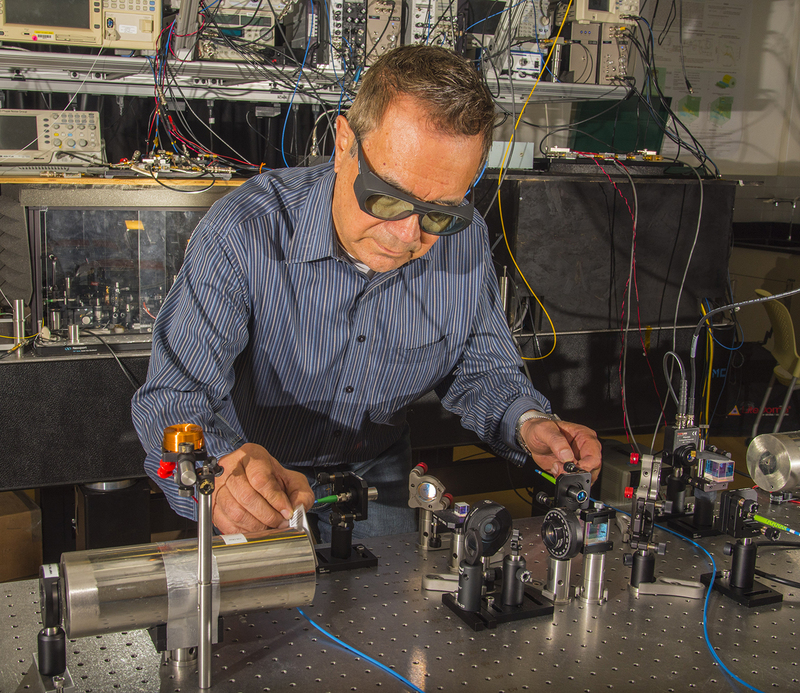 Howe told the ARRL it would be "great fun" to experiment with the quantum radio in the new 2200-meter amateur band. 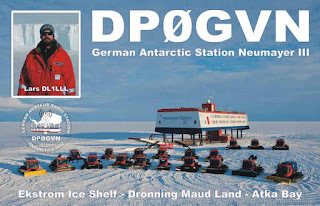 It is well-known that radio propagation around the north and south poles is quite different from other parts of the world, and now a joint project of Germany's Deutscher Amateur Radio Club (DARC), the Technical University of Munich and the University of Bremen will attempt to document those differences using WSPR - or Weak Signal Propagation Reporter - technology. The ARRL Letter reports that ham researchers in Antarctica have installed a multiband WSPR transmitter as well as a multiband receiver at the Neumayer III Research Station. The receiver can simultaneously monitor up to eight bands between 160 and 6 meters and feed several hundred reports each hour to the WSPRnet website. for a year, beginning in February 2018. 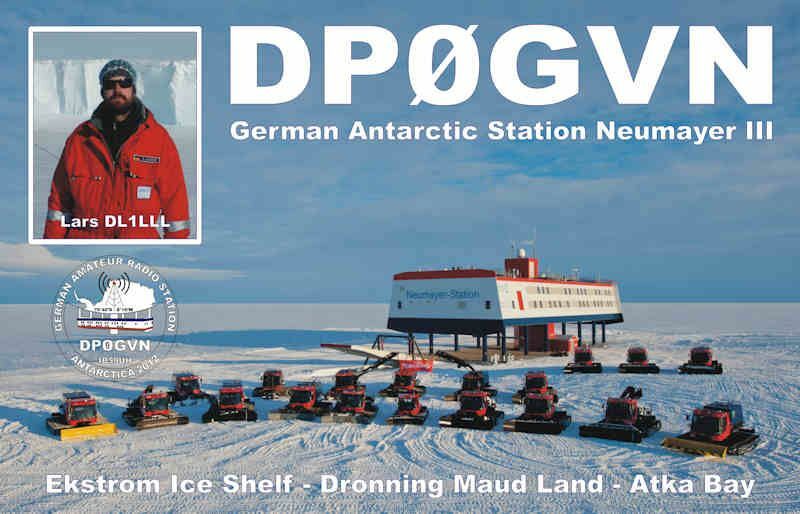 The station is using the callsign DP0GVN; the call will also be used for realtime HF QSOs by researcher Matthias Maasch, DH5CW, who is scheduled to arrive at the station in February for a one-year deployment. Speaking of Germany, regulators there have extended the temporary authority of amateurs there to operate on 6 meters through 2018. In addition, according to Newsline, maximum allowable power on the portion of 160 meters between 1850 and 1890 kHz has been increased to 100 watts from 75; and contest operations by German hams are now permitted on 160 as well, but only on weekends and only between 1890 and 2000 kHz. In addition, the German regulators are allowing Class E (Novice) licensees to operate through the end of 2018 on the 13- and 6-centimeter bands (2.4 and 5.6 GHz) with a maximum power of 5 watts PEP. The ARRL Executive Committee is scaling back proposed changes to its Articles of Association and By-Laws after a release of their preliminary versions caused a firestorm among League members and affiliated clubs. In a very informative posting on his division webpage, ARRL Central Division Director Kermit Carlson, W9XA, explains to the members of his division what his priorities are in regard to the proposed changes, along with the final - revised - versions of the actual motions. Based on these updated motions, it appears that proposals regarding membership revocation and disciplinary action against directors and officers will not be on the table. In addition, Carlson has posted the text of a motion he will introduce to amend the so-called "code of conduct" for directors to remove prohibitions on directors telling their members how they voted on various motions, as well as the statement that board members "must accept and publicly support Board decisions." Instead, the code would state that directors may not make public statements that "have the purpose or effect of undermining, discrediting or disparaging the decisions or actions of the Board." All of this is posted on the ARRL Central Division webpage at <http://www.central.arrl.org/>. We recommend that everyone read Mr. Carlson's excellent letter as well as the current texts of the motions that will be considered next weekend. Of course, final decisions on the wording of each motion will be up to the board members when they meet. Motions may be amended, adopted, deferred or defeated, and we won't know the final disposition of any of them until after the board meeting on January 19 and 20. We thank Kermit for sharing this updated information with his members and, by extension, the entire amateur radio community. We also thank the Executive Committee for its responsiveness in making appropriate changes to address valid member concerns. This is representative democracy in action. CQ White Paper Follow-Up - ARRL: "We Have Met the Enemy ... and He Is Us"
ARRL: "We Have Met the Enemy … and He Is Us"
In our previous white paper on secrecy and censure at the ARRL, we asked "What is the ARRL So Afraid Of?" The answer is becoming disturbingly clear. The League's top leadership appears to be afraid of at least some members of its own board of directors, or to quote cartoonist Walt Kelly's Pogo Possum, "We have met the enemy … and he is us." Proposed changes to the ARRL's Articles of Association and By-Laws, scheduled to be considered by the board later this month, appear to focus largely on tightening control over who may serve on the board of directors and impose Draconian sanctions on board members and officers who stray from the "party line." We find these proposals worrisome and feel they are inappropriate for a membership organization. Even more disturbing is a statement by the League's CEO that it's improper for the members to have seen these proposed changes before the board has had an opportunity to discuss and vote on them. The proposed changes have already been making the rounds on the internet and have generated a great deal of discussion, as well as letters of concern from several major DX and contest groups and other leading hams. One of the most-widely discussed proposals is a provision allowing the League board to expel a member "for cause." To be clear, the board already has this power – Article 11 of the current Articles of Association states, in part, "Nothing herein contained shall preclude the Board of Directors from expelling a member upon good cause shown and after notice and an opportunity to be heard." However, there is no mechanism provided for determining what constitutes "good cause" nor are there specific procedures in place for expelling a member. The proposed change provides a little bit more structure but still leaves the provision very much open to interpretation by the board. But the primary focus of this proposed change, it seems to us, is to provide a vehicle for punishing directors or officers who step out of line. One of the proposals would make the president and three vice presidents full voting members of the board of directors (except for voting on their own elections). Currently, vice presidents have no vote and the president may vote only to break a tie. Since the officers are elected by the directors rather than the members, this would create a bloc of four voting board members who are responsible only to the other directors, not directly to the ARRL membership. It would also increase the size of the board from 15 to 19 members, making it more difficult to get a majority to vote in favor of a proposal which the officers may not support. Approval of this proposal would also call into question the continued validity of the provision in Article 1 of the Articles of Association which states that, since 1915, "(t)he affairs of the corporation have been … continuously governed by a Board of Directors selected by the membership." Making officers full voting members will mean that the board will no longer be completely "selected by the membership." Other proposals appear aimed at intimidating board members to toe the line or face sanctions up to and including removal from office by revoking the person's ARRL membership. Bottom line, if all of these proposals are adopted: If you are a director and incur the ire of 2/3 of your colleagues (including the bloc of four officers), you could not only be kicked off the board but kicked out of the ARRL, making sure you can never run for office again. Lesser sanctions, such as censure or reprimand, would also be permitted, but in these cases, the proposal states that board members or officers subject to these actions would not be given advance notice or an opportunity to be heard on the matter. This is simply unacceptable. There are other board-directed proposals as well, such as adding a vice president (appointed by the president) as a voting member of the Executive Committee; making the attendance of vice directors at board meetings by invitation only (currently, vice directors routinely attend as observers, without the right to speak or vote unless their director is absent, but participate in informal discussions when the board is not in formal session); giving the Elections and Ethics Committee even greater power over determining who may run for office; and mandating the use of binding arbitration (rather than lawsuits) for any disagreements among board members, or between a board member and the League, that cannot be amicably resolved among themselves. Proposals that would directly affect the members include one to remove a specific dues figure from the by-laws (meaning that a simple majority of the board would then be able to raise dues rather than the two-thirds currently required), and one to end the practice of extending life membership to a family member after the primary life member has become a Silent Key. As we analyzed these proposals and began seeing letters being sent to ARRL directors by various clubs and individual members, we realized that we had not yet heard anything from League leadership as to why these changes might be beneficial (the main proposals came from the Executive Committee, not the sponsoring director as an individual). We asked CEO Tom Gallagher, NY2RF, and President Rick Roderick, K5UR, to share the perspective of ARRL leadership. Tom Gallagher replied for both of them by a) pleading ignorance to which proposals we were asking about - "The board reviews governing document changes at almost every meeting…" - and b) by stating that the members should never have seen the proposals prior to board consideration and action. "At all times in the past, such proposals have been treated as board-confidential, transmitted only to board members for their consideration before any public discussion. Apparently, a recipient of that material has seen fit to distribute these draft documents publicly, before his colleagues have had a chance to review them." In our view, this is a) not quite accurate, and b) illustrative of the problem we've been highlighting for many months. We recall that, back in the 1980s and '90s, at least one director would regularly review proposals coming up for board action with his "cabinet" (assistant directors, section Field Organization leaders and club presidents) prior to board meetings to seek their input and guidance on making his voting decisions. There was never a suggestion that this might in any way be improper. The second problem is that keeping proposed changes "board-confidential" until after the board has acted on them takes away the members' rights and responsibility to provide guidance to their elected representatives and perhaps influence the decision-making process. This is how a membership organization and a representative democracy work. Imagine if bills before Congress were kept secret until after the members had voted on them; or proposals before the FCC were not made public prior to a Commission vote. At that point, it would be too late for the people casting the votes - be they FCC commissioners, members of Congress or ARRL directors - to hear all sides and perhaps consider changes that might accomplish the same goals while satisfying the majority of people with concerns. It is much easier to change a proposal prior to enactment than to later amend or rescind it. Airing proposals prior to a vote encourages "getting it right" the first time rather than needing to go back and try to "fix" things after the fact. We congratulate the League director(s) - whomever he/she/they may be - who "(saw) fit to distribute these draft documents publicly" prior to the board meeting, so that we as a community might engage in civil discussion and debate ahead of any vote and provide guidance to our elected representatives on the different viewpoints of the members they represent. We encourage all ARRL members to review these proposals and make your views known - whatever they may be - to your elected representatives. Openness and transparency make for good governance; secrecy does not. The board meeting is on January 19th and 20th.